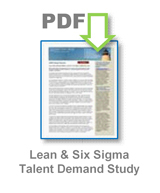 Lean Versus Six Sigma... and the Winner Is? 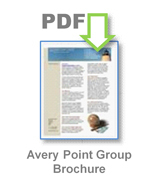 First annual study by Lean & Six Sigma executive recruiting and search firm The Avery Point Group finds that Six Sigma dominates Lean as the more prominent methodology by a wide margin. Today's competitive global business environment leaves little room for error and inefficiency, which explains why Six Sigma and Lean have become part of today's everyday business language. Many extol the virtues of these continuous improvement methods as a way to drive out waste and reduce variation in everything from customer service to overall process performance. However, which continuous improvement methodology is more prominent and popular? "As part of our executive recruiting practice we track a large amount of industry trend data in order to better target our business efforts and serve our client base," says Tim Noble, managing principal of The Avery Point Group. "We monitor three main indices to give us a long- and short-term view of the disciplines we service. We look at the number of books published each year by topic, the number of Internet keyword searches, and the number of jobs posted online by keyword." Based on these three indices, Six Sigma still dominates Lean as the more prominent and popular methodology by a wide margin. Over the past five years both methodologies have seen an explosion of books published covering their topics, which will only help to elevate the interest in Six Sigma and Lean as more business leaders become immersed in the published materials now being made available. 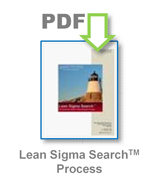 Each year, however, books published on the topic of Six Sigma consistently outpace Lean by a wide margin. Based on Internet search engine keyword search counts, Six Sigma search inquiries still outpace Lean inquiries by a 2-1 or greater margin. However, keyword searches on Lean have been gaining ground recently. Based on Internet job board postings, the use of the keyword Six Sigma outpaces Lean consistently by more than 50 percent. The difference in prominence between Six Sigma and Lean may be due to the fact that Six Sigma has been able to move beyond its roots in manufacturing into other disciplines, while Lean is still largely perceived as a tool to improve manufacturing processes. "This perception is changing as more and more businesses across the board are looking to blend the best of each methodology to accelerate their continuous improvement efforts," says Noble. "Companies are increasingly realizing that these are truly complementary tool sets and not necessarily competing philosophies." In the end, the real winner is any company that successfully engages in some form of continuous improvement, regardless of whether it is Lean, Six Sigma, or some other well-executed approach. "I can't think of any company that claims to be world class that is not utilizing some form of continuous improvement approach," says Noble. "World-class status is a constantly moving target defined by both your customers and your competitors. Without a continuous improvement approach you're not even treading water in today's global economy."